we are trying to use Cepstral TTS plugin in Unimrcp. When we start up unimrcp server, we are getting the below error. Since unimrcp is expecting mrcpcepstral.so file in the plugins folder and no able to find it, it is throwing the below error. I also searched the whole install directory for that file and it does not exist. Has any one come across this issue before? I just wanted to report that we are going to bringing a graduate-level intern on here at Cepstral whose first task will be to update the Cepstral UniMRCP plugin. I don't have any more to share at this time other than we are aware of the basic issues and will be working to resolve them. The good news is that we are investing again in the open source project. The bad news is that it will not really get rolling until January. 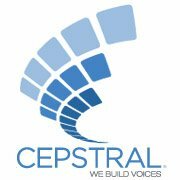 If you (or others) have more to report on the state of the UniMRCP Cepstral plug-in, this is a great time to make us aware of other issues. any news on updating the cepstral plugin for unimrcp ? we're currently building up a project with freeswitch and want to use cepstral (since we already used with asterisk), but using mrcp as interface. In the Cepstral internal test, we have the Cepstral plugin for UniMRCP working using Asterisk 11 as the MRCP client. But we haven't tested it with other MRCP clients. That's why we don't have the package for public use yet. It would be great if you want to get involved and test it with your system. I've quickly adapted the old unimrcp cepstral plugin to work with cepstral 6.0.1 and the upcoming unimrcp 1.1.0.
so far is working ok.
but if you have something new, I'll be glad to test it. right now, I'm using freeswitch with mod_unimrcp as client. I'm glad that you made the plugin work. Please notice there are totally 3 changes in the mrcp_swift.c. replace "return TRUE;" to "return mrcp_engine_open_respond(engine,TRUE);"
replace "return TRUE;" to "return mrcp_engine_close_respond(engine);"
If you have other fixes, we'd be glad to hear from you. I was thinking that @cepstral there was something more advanced. Thank you for paying close attention to Cepstral. Currently, there is no advanced change for UniMRCP Cepstral plugin, since the swift interface interacting with voices remains the same. But there is another minor fix in mrcp_swift.c. May I ask on what OS did you install the freeswitch? And on what OS did you install UniMRCP as MRCP server?